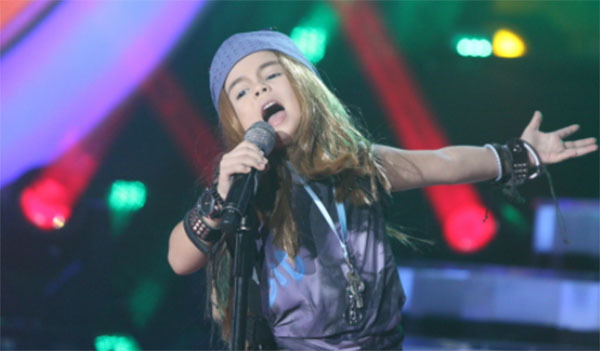 Xia Vigor sings ‘Sweet Child of Mine’ by Axl Rose of Guns N’ Roses on Your Face Sounds Familiar Kids Week 3 episode on Sunday, January 22, 2017. “You did amazing and you surprise me. You did so well tonight,” said Sharon Cuneta. “You really did your best. I was blown away by your performance,” said Gary Valenciano. “You are getting better and better. Tonight you are solid. You are really a sweet child,” said Ogie Alcasid. What can you say about Xia Vigor’s performance tonight? Share your comments on the discussion box below.